The Gorongosa Restoration Project (GRP) has worked with the Government of Mozambique for the past 20 years to restore wildlife to the Gorongosa National Park, in what is perhaps the greatest restoration success in Africa. 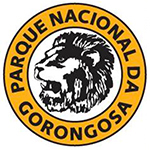 Gorongosa National Park was degraded by civil war and poaching. Using science, conservation, tourism, and community involvement, GRP has returned the park to of one of the most biodiverse places on the planet. In 2014, GRP opened the E.O. Wilson Biodiversity Laboratory, which is home to wildlife monitoring projects, training of local scientists, BioBlitz surveys, and the restoration efforts. As a partner of the Half-Earth Project, GRP will participate in the Global Biodiversity Census, creating model ways to find, identify, and monitor biodiversity. GRP will also be Model Conservation Effort, which will help guide and inspire future conservation programs.